Masters 25 Spoilers continue; with lots of love shown for the Pauper players yesterday, a respect for the Commander table is what's on for today so far. 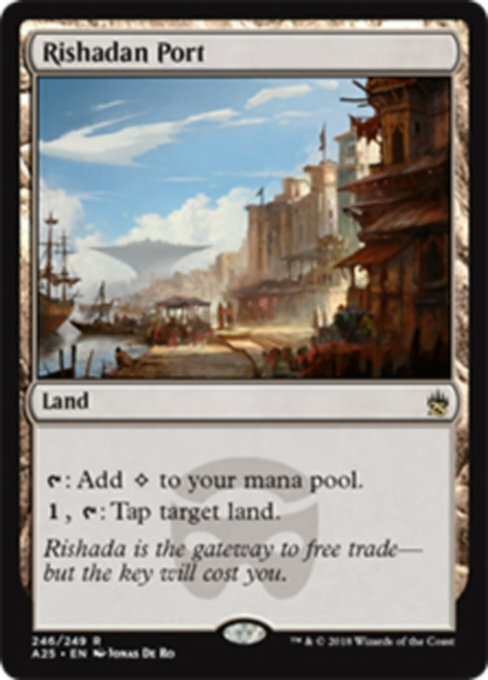 The key mana producer card for Legacy Storm returns. 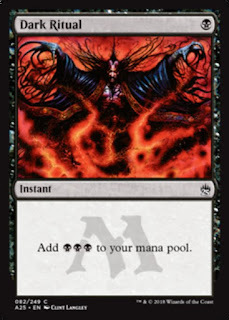 All the way from Alpha, the instant that was once an interrupt, and even had the type 'Mana Source' is given the center justify treatment, which really stands out with the grand 'M' behind it. 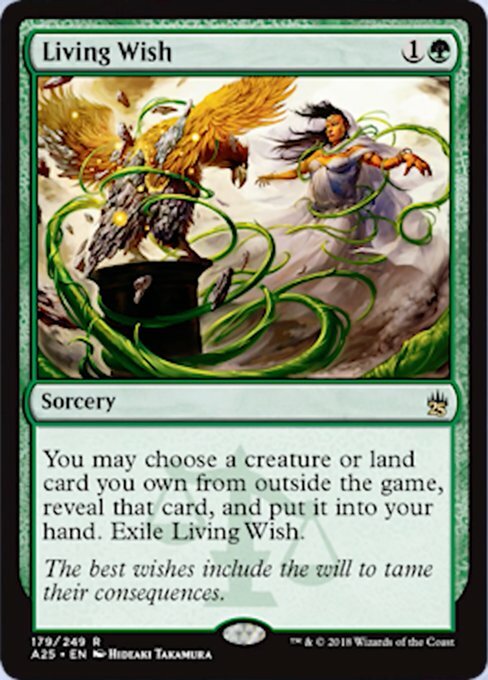 Conspiracy: Take the Crown saw the unexpected but welcome reprint of Burning Wish, but here we see the continuation of that cycle brought back to life. It's interesting that this version features the Judge Promo art; similar to the Azusa reprint in this set and a certain familiar lady at the banner of this piece. This, coupled with new flavour text makes the card alive again in a completely unique version. 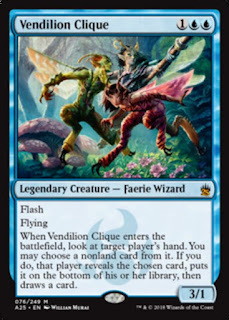 With it's original art; not Sorin Markov turning a dude to dust, or the guy with the sword. 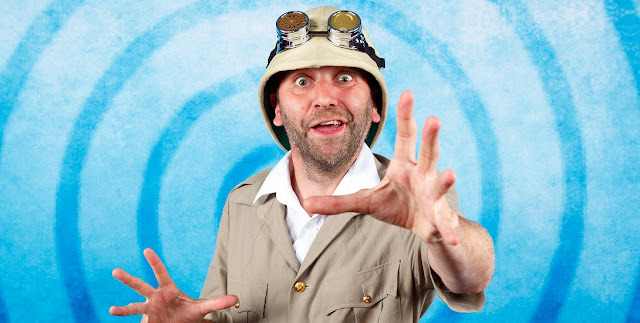 Classic Brian Snõddy, showing the Weatherlight all to close to a growing explosion. Yet another simple but powerful card meets with Blood Moon and Dark Ritual with the stripped back, center treatment. 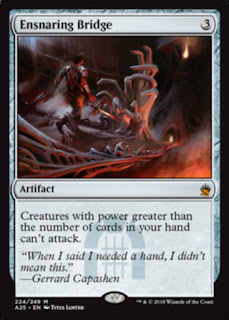 I can imagine many cards will get this formatting in this set, and I welcome it. The original pump spell, fresh out of Alpha is back with the archetypal art of the glowing massive bear. 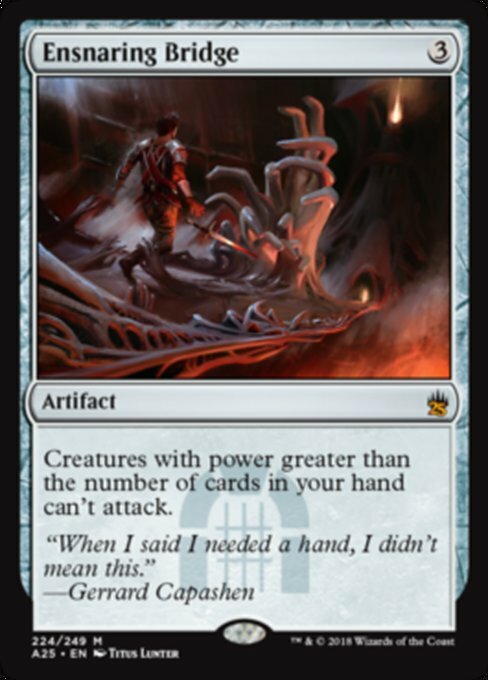 Part of the cycle from Alpha to show a one mana effect synonymous with the colour (a cycle featuring Ancestral Recall and Lightning Bolt), Giant Growth still sees print and play in Limited and Pauper Infect. 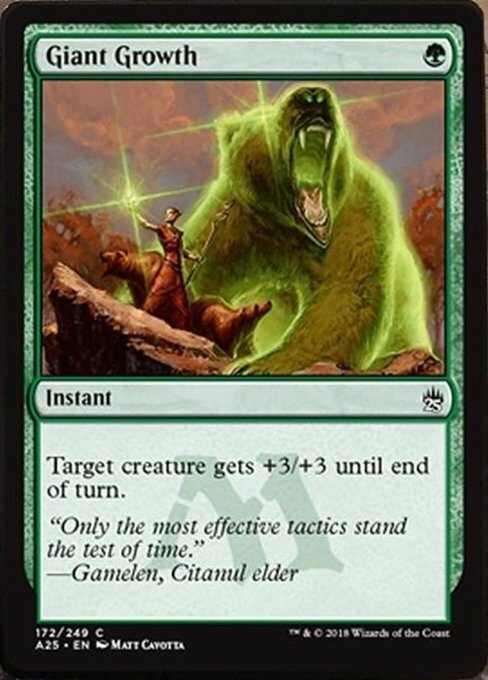 This is the first printing of the glowing massive bear art by Matt Cavotta and flavour text; very apt too, to see a simple card stand the test of time. The sideboard staple returns in Master's 25, hoping to hose any Red deck in that Limited Environment. Here's one of the Red spells you'd like to gain some life back from. 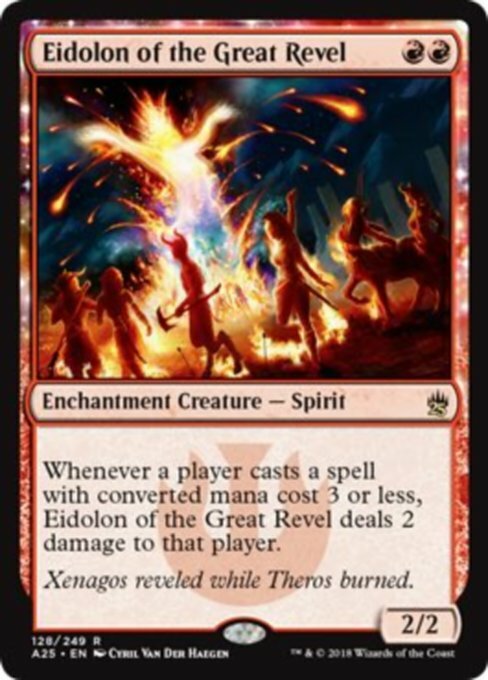 Rejoice Burn players. Your turn 5 play is back with a burning vengeance. 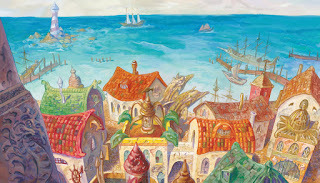 The key slice of hate from Pro Tour Winning Lantern Control is back with brand new art and witty repartee from the captain of the Weatherlight. It's obvious that the further back into Magic's archives you go, the more references to Dominaria there will be - and with the setting coming back to Standard in a few short months; Wizards are being very shrewd to put it right in the forefront of the player base's mind with the flavour of these welcome returning cards. Magus of the Wheel returns, and is sorely needed. In many supplemental sets, they print Human Wizards with an ability akin to a powerful effect. 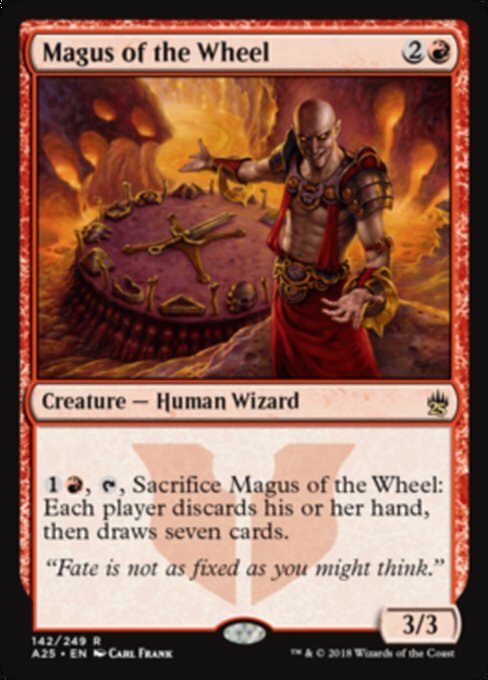 Wheel of Fortune on a creature sees a great deal of Commander play in Nekusar, The Locust God, and the soon to be reprinted Niv-Mizzet. 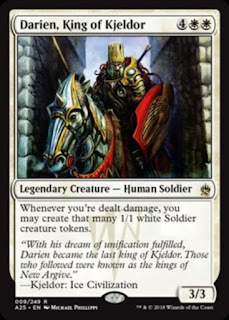 Here we have a card named after my favourite Bruce Willis movie. I feel that the theme of land destruction in Sundering Titan or Blood Moon was strong enough, but the land Wrath being back takes the cake; even with the From the Vault artwork. It, centered, with the iconic 'M' will see this be highly sought after. Protean Hulk returns and every green Commander player can rejoice to see it made available. 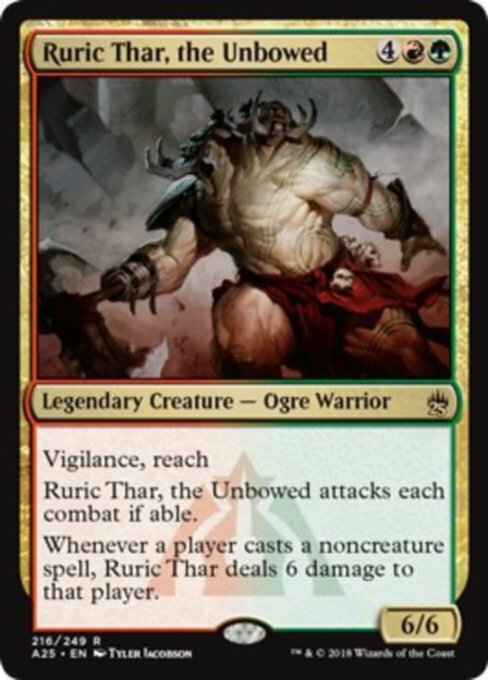 Ever since the Commander rules committee took it off their banned list, it's begun to see play in big creature decks like Selvala and Rhonas, and even graveyard decks like Meren and Jarad. 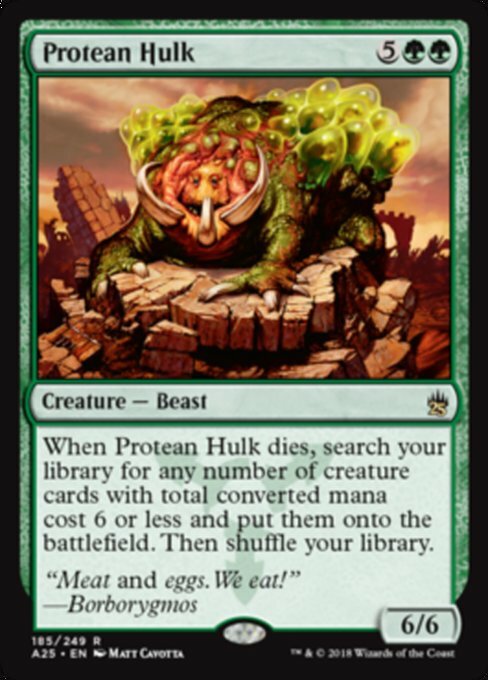 EDH tables are going to have a big breakfast in the company of Borboygmos this time. Hanna, sporting her far superior Terese Nielsen art returns after being printed very recently alongside Breya in Commander 2016. 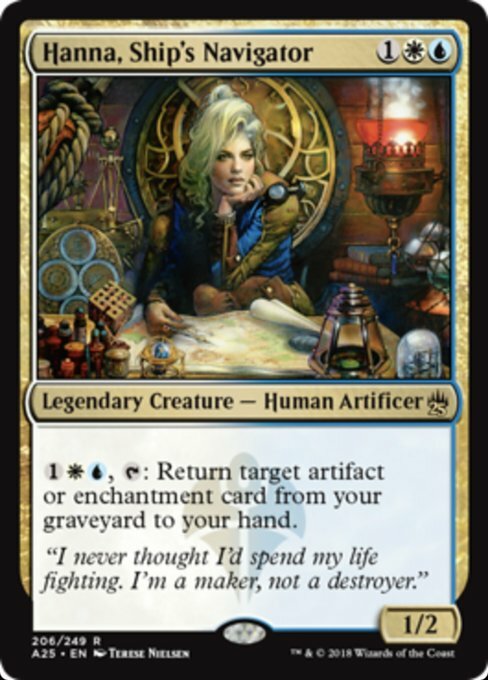 It's nice for Commander players to get her in foil if she's in charge of whatever enchantress or artifact combo/control deck she helms, especially with the Invasion watermark really popping in foil. The biggest and angriest of hatebears, Ruric Thar returns with the Dragon's Maze (not Gruul Clans) watermark. Sworn enemy to my Baral and Mizzix Commander decks, and funny but sudden surprise to see a TitanShift player Summoner's Pact him into play against me when I was on Storm. 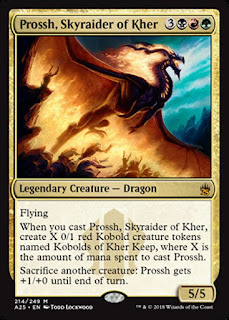 Jund's most popular Commander (according to edhrec), Prossh flies the banner for Commander 2013. Odd for limited play (if anyone were to run a 3 colour six-drop in Draft), as a great deal of Prossh's power comes from being able to recast him from the Command Zone to get more Kobolds to then feed him. It'd only ever amount to six 0/1's. 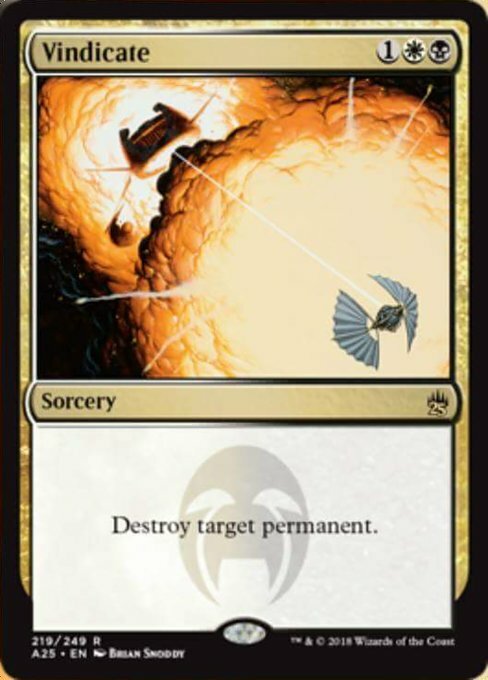 Not that that's any bother when you have an 11/5 flying in your draft deck. 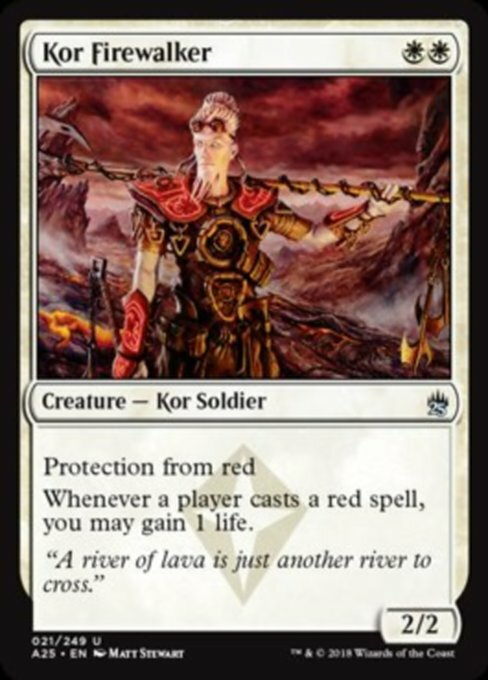 Either way, Commander value hunters will want Jund's best in foil and anyone that ever plays with Kher Keep will get official 0/1 Red Kobold tokens for the first time in Magic history. Darien (for me) is one of White Weenie's most overlooked Commanders. Sure his cost is high in a colour that can't ramp outside of Land Tax and other similar 'if they have more land than you' effects, but the politics around avoiding the Mono-White player based on how quickly it'll make them gum up the board is interesting to see. At the very least, I'm happy to see his type line brought into Modern Magic. 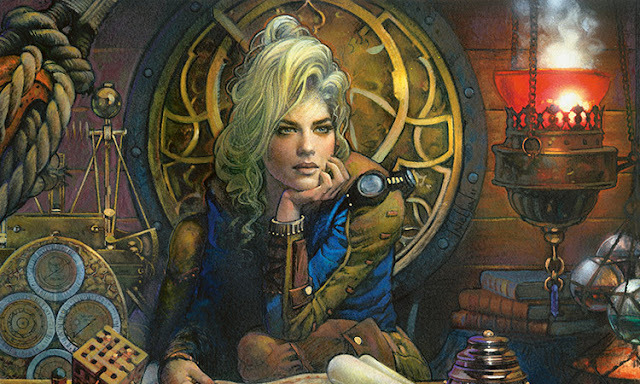 The modern Control finisher returns with its Modern Masters 2015 art at the Mythic rare slot. Once again the debate for 'click' over 'cleek' will take place over Draft pods. With Judge Promo art and original flavour text, Rishadan Port returns from Mercadia to Masters 25. 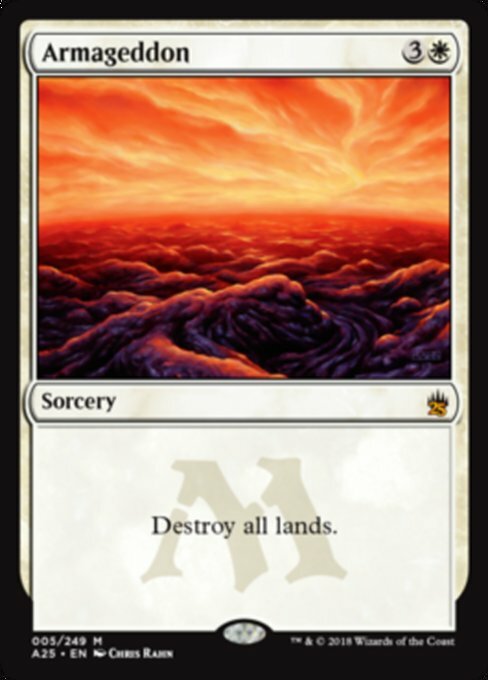 Seeing prolific play in Legacy and Vintage as a playset, the powerful utility land has already brought down it's price and will bring up its availability. As of the publishing of this article, we've only seen around 18% of Masters 25. The power and high rarity cards abound, players are starting to wonder what the limited environment will shape to be like. 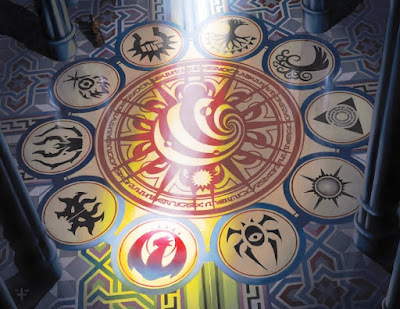 Will the archetypes be clear like Modern and Eternal Masters, or free-flowing like Iconic Masters? 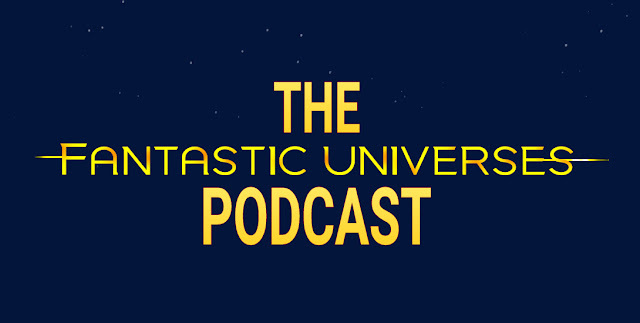 Read here on Fantastic Universes with each released card.